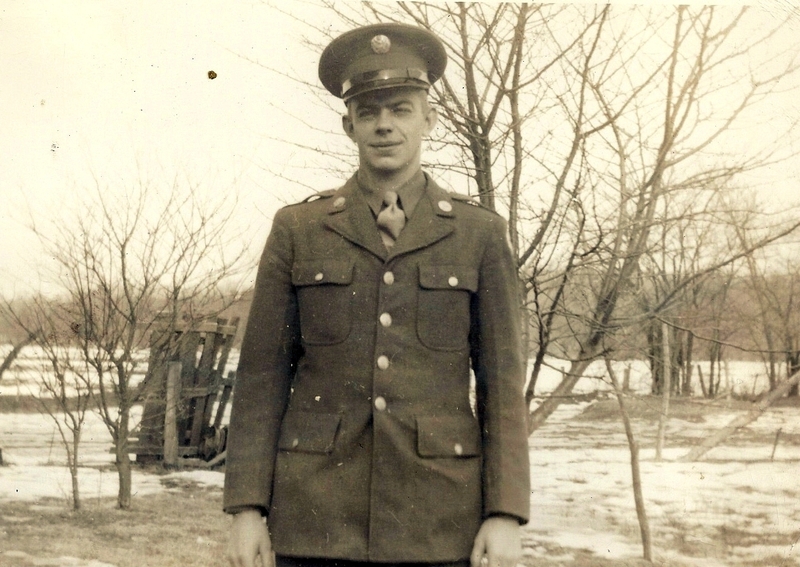 My grandfather, David, joined the U.S. Army on January 5, 1943 at Jefferson Barracks, Missouri. He was stationed at Fort Leonard Wood, Pulaski County, near Waynesville, Missouri. 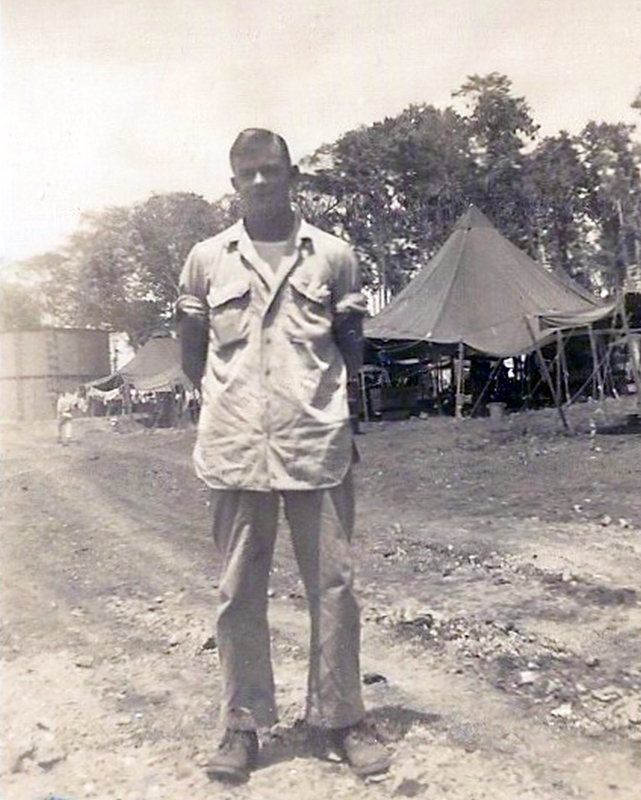 After his training, he was deployed to the South Pacific (APTO) on March 31, 1944 and arrived in New Guinea on April 21, 1944 where he served as an Army Medical Corpsman (Aidman – TEC 5) with the 27th General Hospital. 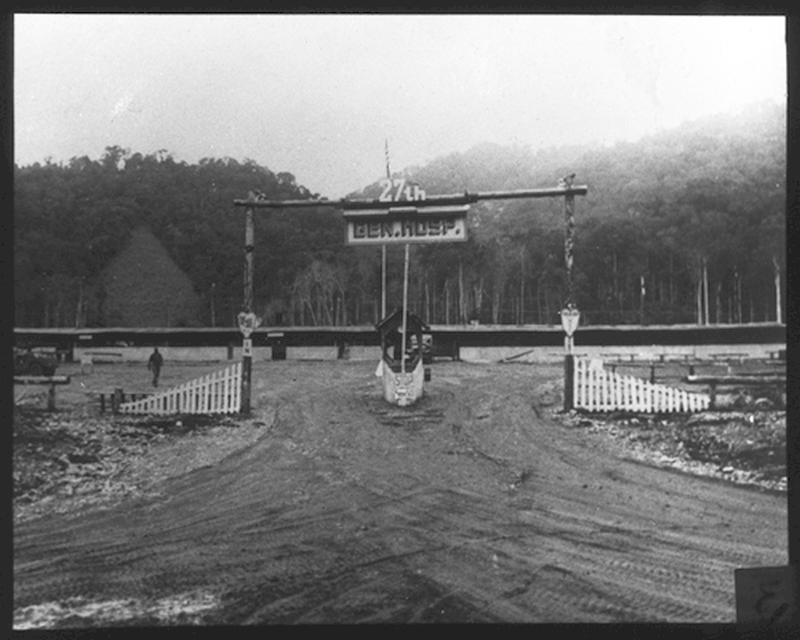 The 27th General Hospital was a 2,250-bed general hospital in Hollandia, New Guinea, in an area of malarial swamp that had been quickly cleared out of the surrounding jungle. 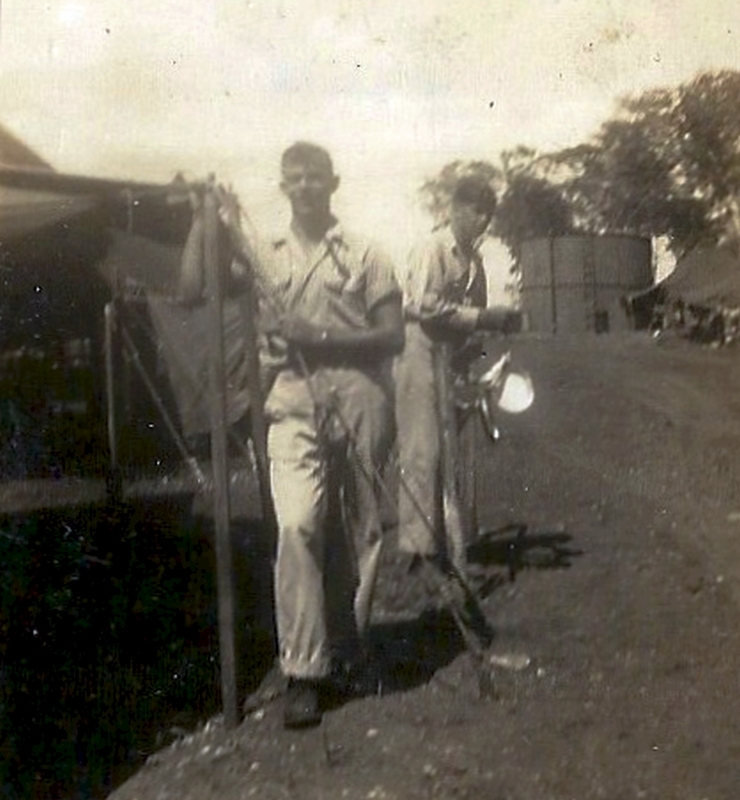 The 27th was the nearest hospital to the island-hopping offensive that would eventually win the Pacific war and admitted 21,054 patients who were either local admissions from Army units in the area or battle casualties that had been evacuated to Hollandia from forward areas ranging from Biak to Luzon. 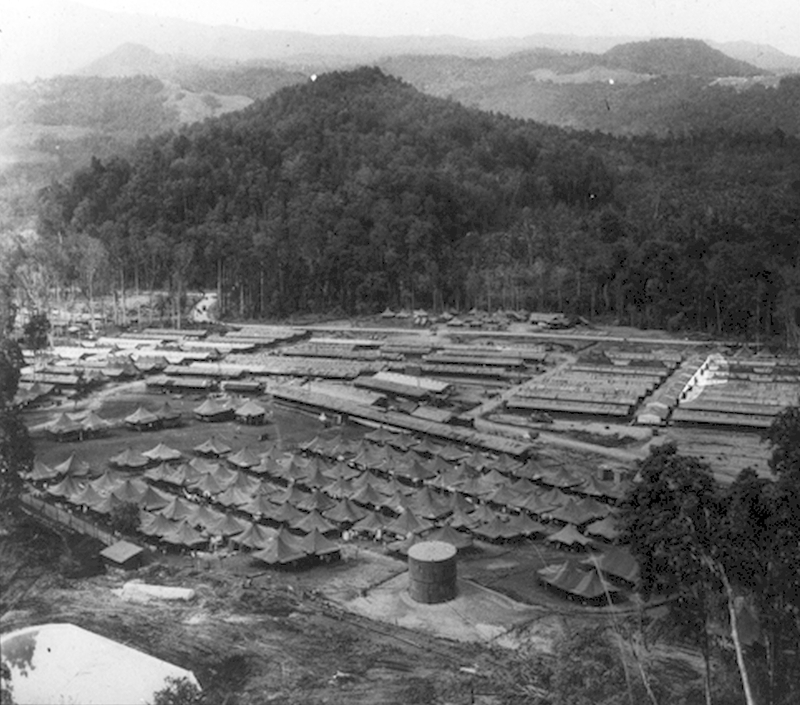 The majority of the patients were American Army personnel, although they also had patients who were American sailors, Australian soldiers and sailors, Philippine civilians, Japanese prisoners, or local natives. 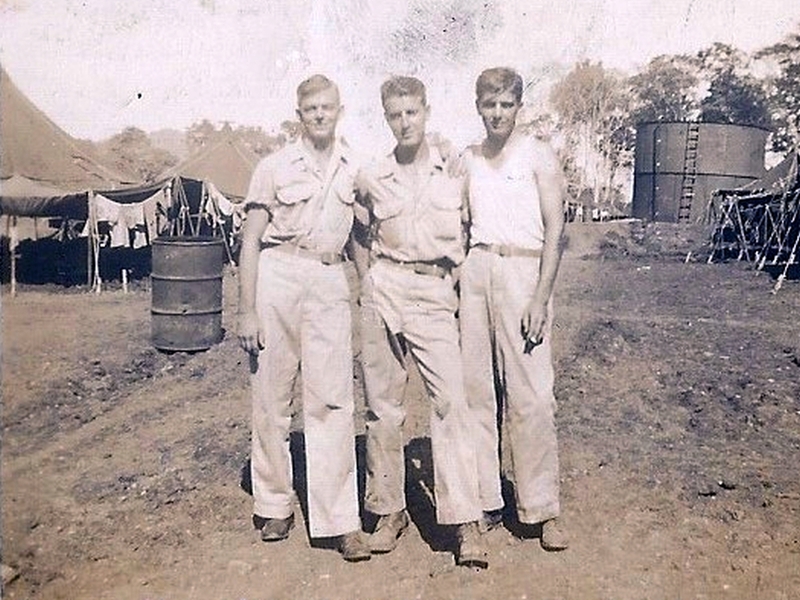 It was the site of the first blood bank in the Pacific theater, and its personnel were many times decorated. David was later stationed in Tokyo, Japan. 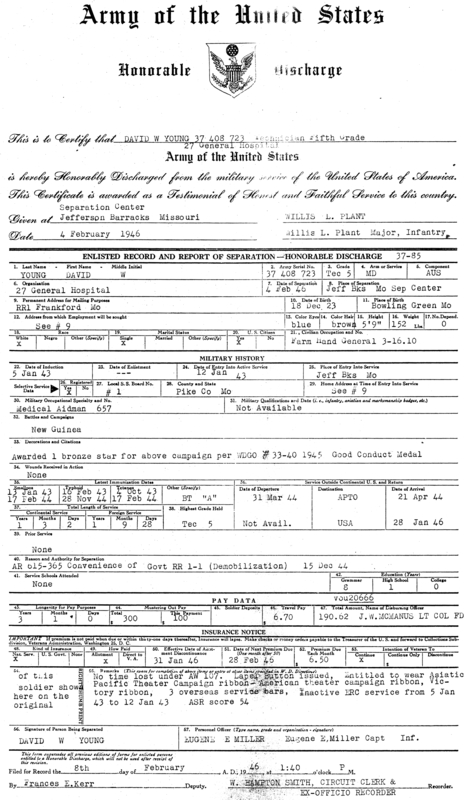 He arrived back in the U.S. at Jefferson Barracks, Missouri on January 28, 1946 and was honorably discharged on February 4, 1946. 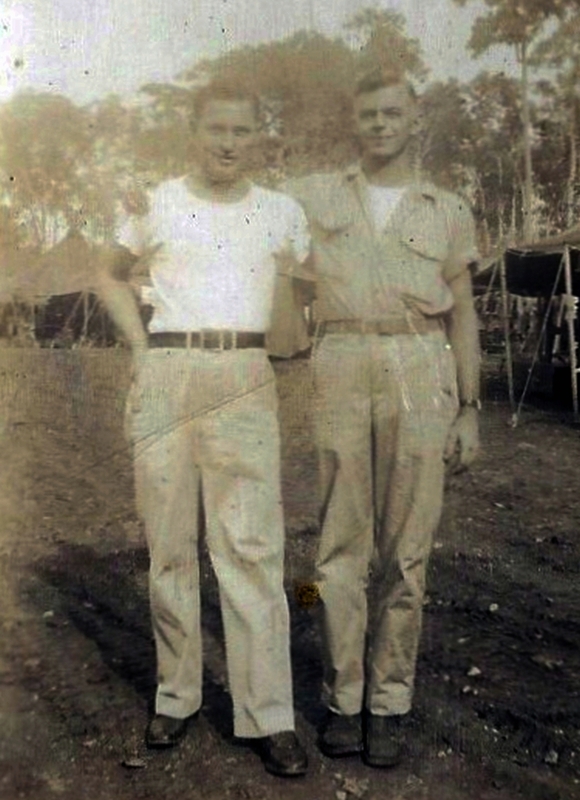 David was awarded a Bronze Star, Good Conduct Medal, Asiatic Pacific Theater Campaign ribbon, American Theater Campaign ribbon, Victory Ribbon and 3 Overseas Service bars. Note water tower in background in this and the next two photos. It appears to be the same tower shown in the aerial photo. 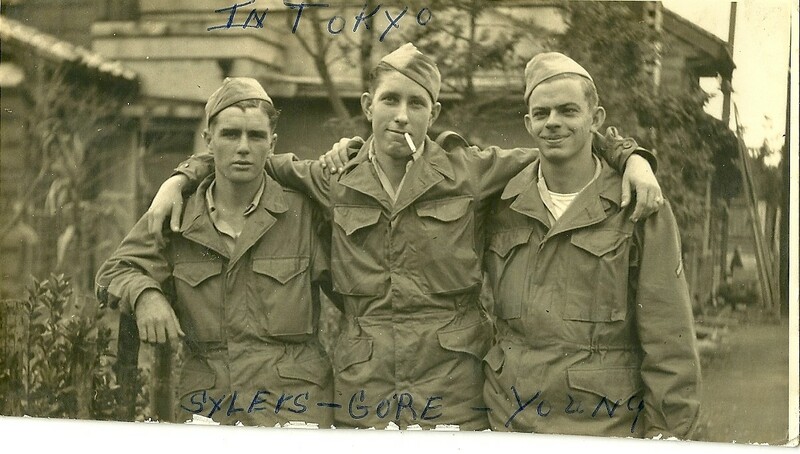 Left to right: David Young, McAfee and Gore.